Good morning. 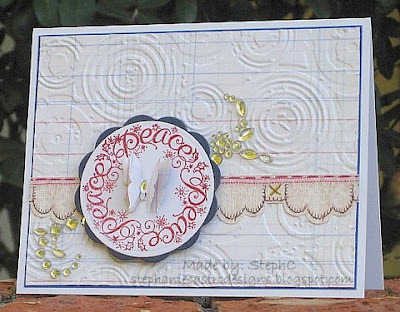 Alanna here bringing you this week's challenge which is a recipe challenge with a twist: Use 2 designer papers, 1 stamp, and bling. The twist: add a butterfly somewhere. 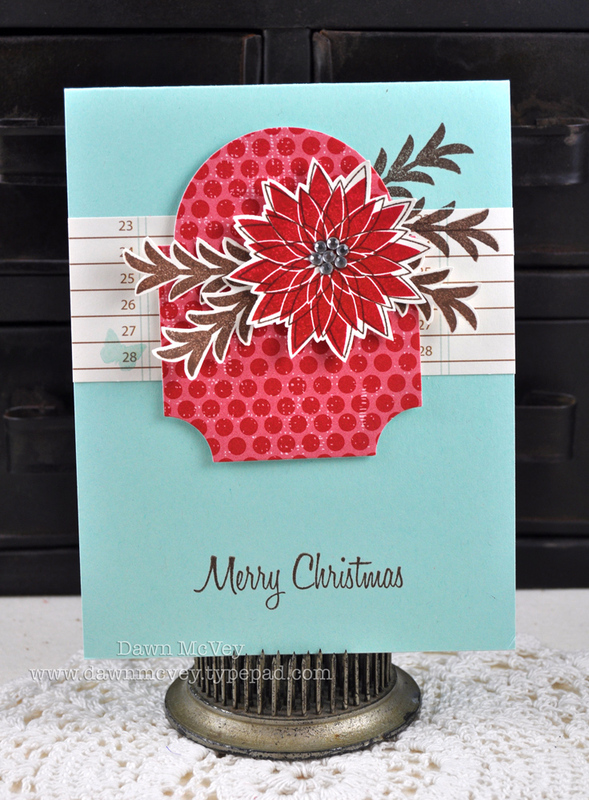 I'm also SUPER excited to introduce you to this week's guest designer, who really needs no introduction, Dawn McVey. If for some reason, you've been under a crafting rock and haven't checked out her blog, RUN NOW. You are going to love what you see, that's for sure. She's super talented and PTI is very lucky to have her as a designer. Here's what Dawn has to say. Hi there! 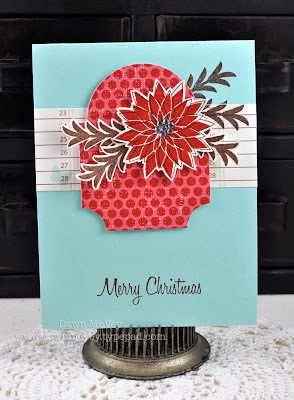 My name is Dawn McVey and I've been stamping for several years now. I got started in paper-crafting by making cards that friends and family eventually started asking to purchase from me. After a couple of years, I had sold over 2,000 cards! 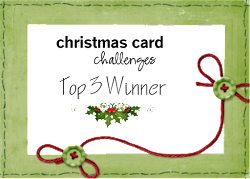 I was also a Stampin' Up! (hobby) demonstrator for several years, which is where I acquired my love of stamping. 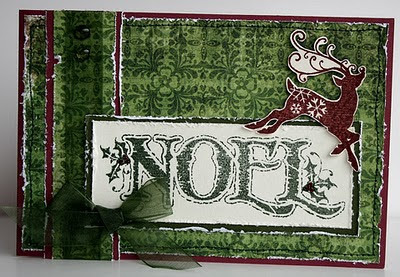 I enjoy making cards, scrapbooking and making various other paper crafted projects, however card-making is my first love. In the fall of 2007, I started submitting my work to magazines and have currently had over 175 projects accepted for publication. In July of 2008 I accepted a position on the Design Team for Papertrey Ink and in February of 2009, I became a Stamp Designer for Papertrey as well. I am thoroughly enjoying working with such a creative and innovative company and have been so excited to continue to expand my Raspberry Suite product line with them! God has blessed me with a wonderful husband that encourages me to follow my dreams! We love traveling and spending as much time together as we can. It's a wonderful life and I'm so, so thankful. And here are the rest of the design teams cards. 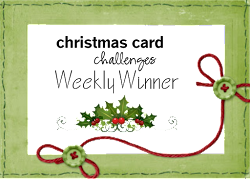 Please link directly to the blog post or gallery pager where we can view/comment on your creation and not just the generic link to your blog. Generic blog links will be disabled or deleted. To get the full URL, click the title of your blog post (which will load a page that has just that post on it), then copy and paste the URL. Don't forget to post a comment so we know you added a card! If you are uploading to an online gallery such as Splitcoast, please use the tag SCCC46, so that we can all enjoy your card. Time is passing, why not join us in creating your Christmas cards early? Have a wonderful Sunday! KUDOS to you and your team for picking up Dawn for a guest designer! I am sure your blog will be busy with her GD even for the day!! WOW! This was a great challenge! The DT did an awesome job as usual and how fun to have the fabulous Dawn McVey as the guest designer!